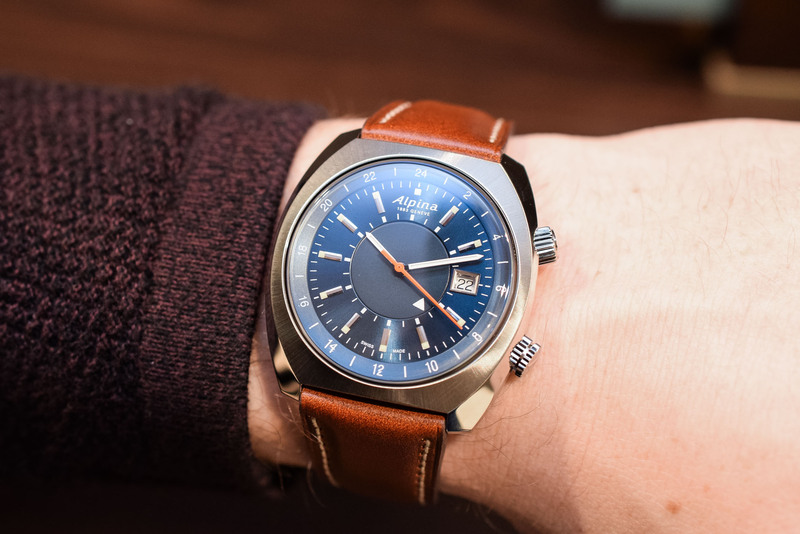 Retro-hype, 1970s style, a useful complication and a fair price for Alpina's latest creation. 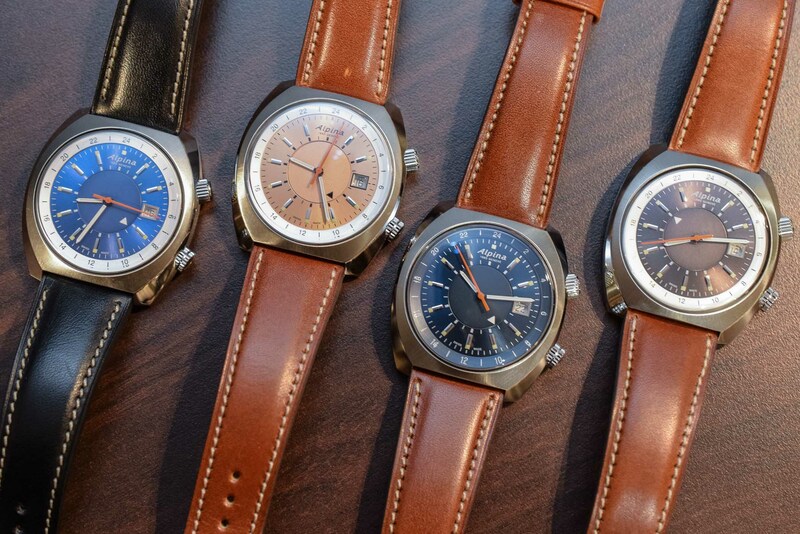 The retro-hype is alive and to be honest if it is done right, it can result in some very nice watches. 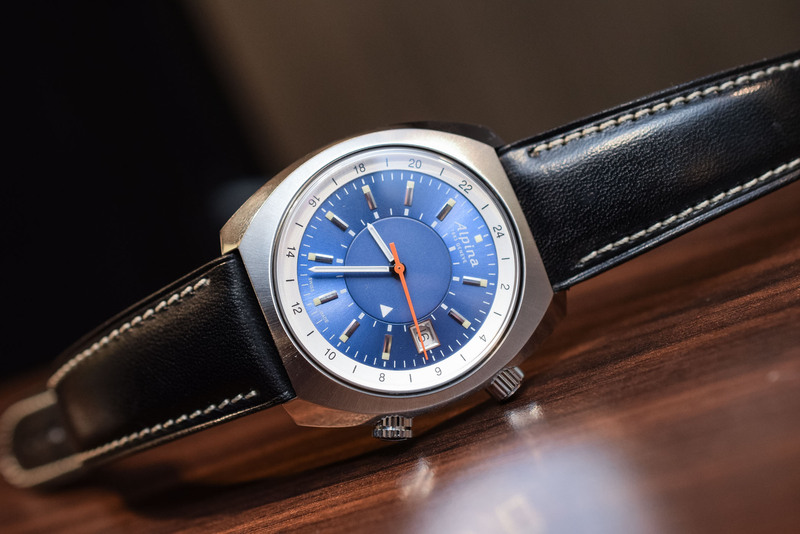 Often considered as the golden age of watch design, the 1970s is used as inspiration by many brands to relaunch former collections or to introduce new ones harking back to historical models. 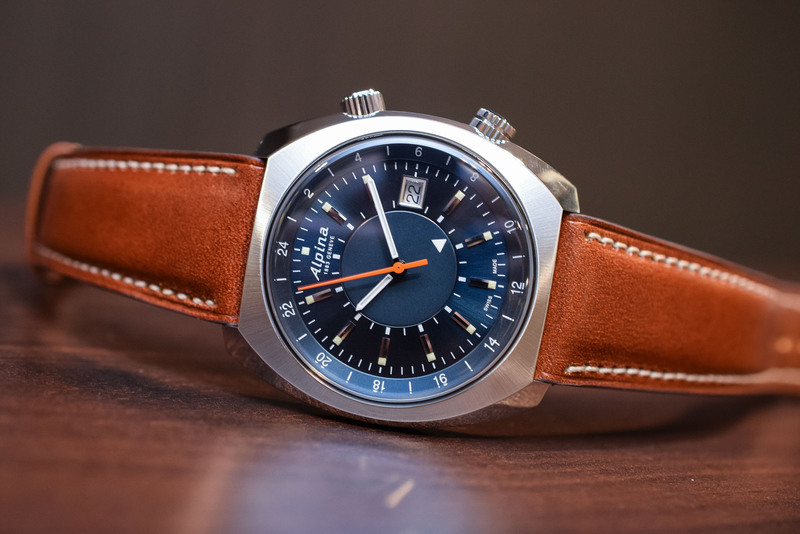 Under the Startimer collection, Alpina’s pilot-style range of watches, the brand launched the Alpina Startimer Pilot Heritage, in four different colourways and a strong 1970s vibe. 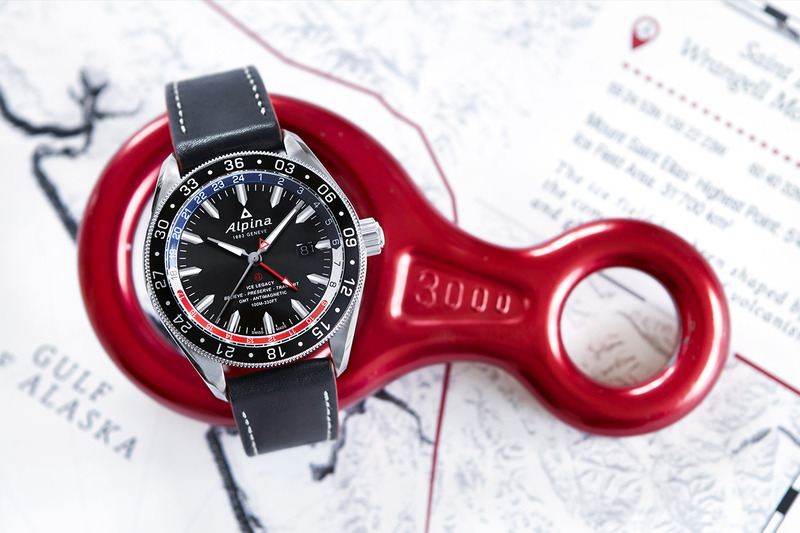 The brand Alpina was founded about 130 years ago but was a victim of the quartz crisis. After its resurrection in 2002, the focus was on durable, accessible sports watches with collections like the Alpiner, Seastrong and Startimer. 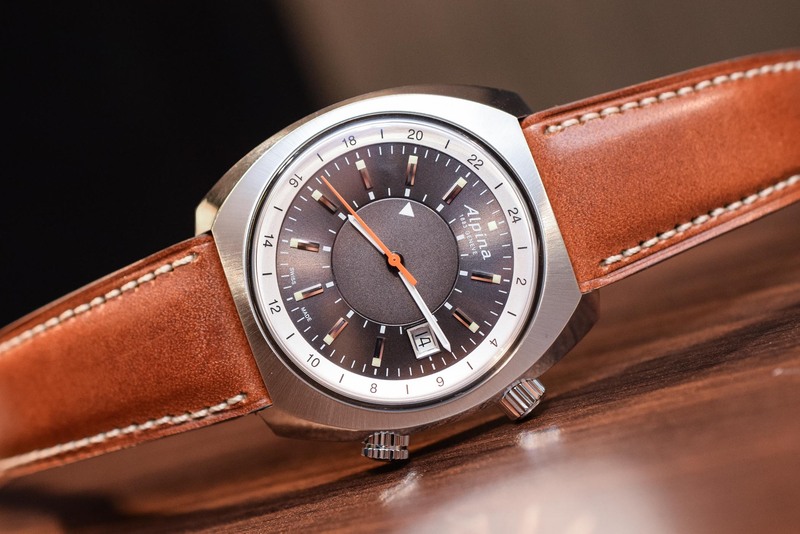 Earlier this year, Alpina became one of the first mainstream watch brands to launch a new model through a crowdfunding campaign, with immense success: the Alpina AlpinerX on Kickstarter. 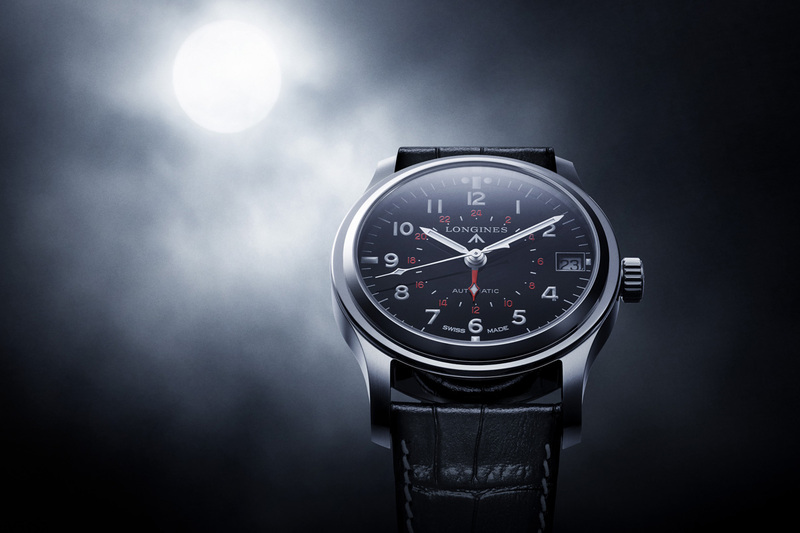 This new, vintage-inspired watch fits in the brand’s pilot range and is known as the Alpina Startimer Pilot Heritage. 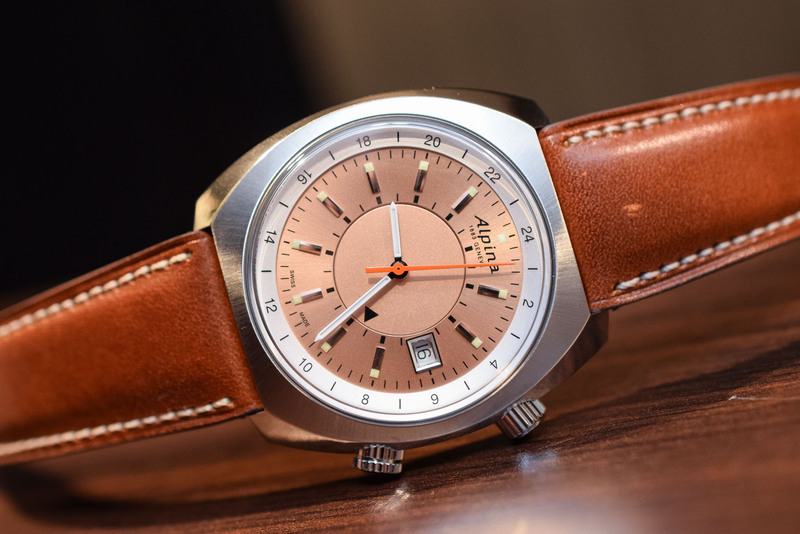 The seventies styled case is done in stainless steel, and measures 42mm by 40.7mm. This modern sized helmet-styled case is fitted with a double crown, one to adjust the time and wind the movement, and the other to rotate the internal 24-hour bezel. 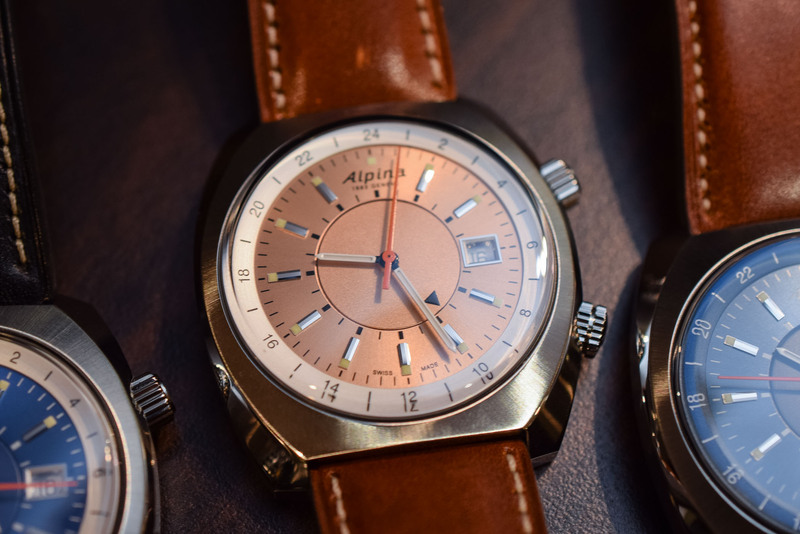 The new Alpina Startimer Pilot Heritage comes in four different dial and strap combinations. Dark grey, light blue, navy blue and a rose gold coloured dial are matched to either a light brown or a black leather strap. Time is indicated by a set of contrasting, sword-shaped hour and minute hands, and a bright orange central seconds hand. Each dial has applied silver hour indices, white printed numerals and markings throughout, a date window at three o’clock with a black on white date wheel underneath. The inner disc of the dial doubles as the GMT indication, with a small white triangle to single out the second time zone. It is powered by the AL-555 calibre, which is based on a Sellita ébauche. Specifications are familiar: a 38-hour power reserve, 26 jewels and a frequency of 28,800vph (or 4Hz). It is a reliable workhorse. 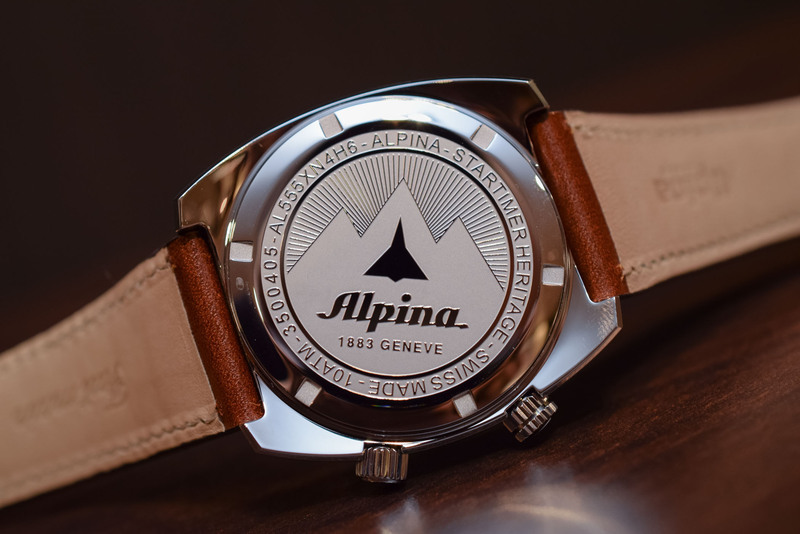 The movement is covered with a screw-in caseback, engraved with a trio of simplified mountain peaks, sunrays coming from behind, and the brand name across it. On the outside edge of the engraving you will find the obligatory data: model name and reference number; Swiss made; and the water-resistance rating of 100 metres. 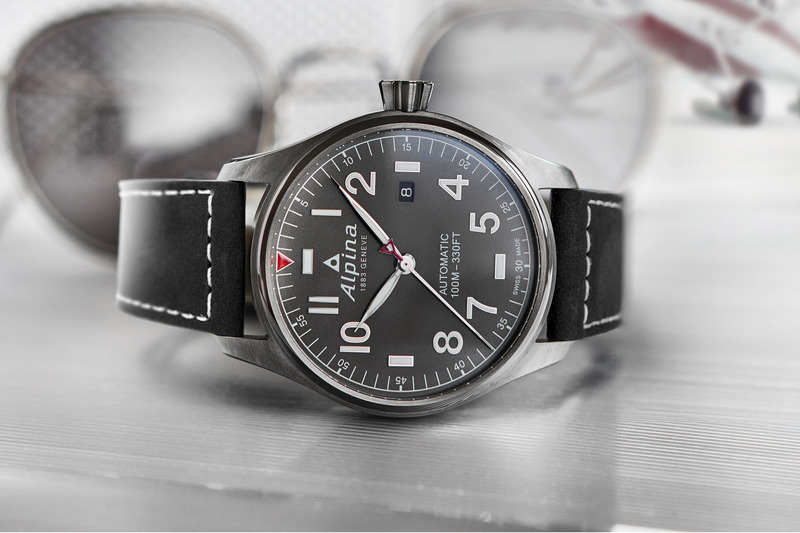 The Alpina Startimer Pilot Heritage is fitted with a box sapphire crystal to mimic that seventies domed plexiglass look. A light brown or black leather strap with a simple pin and buckle finishes the watch. The Alpina Startimer Pilot Heritage is available at an affordable price of EUR 1,295 – obviously a fair price for a well-assembled watch. 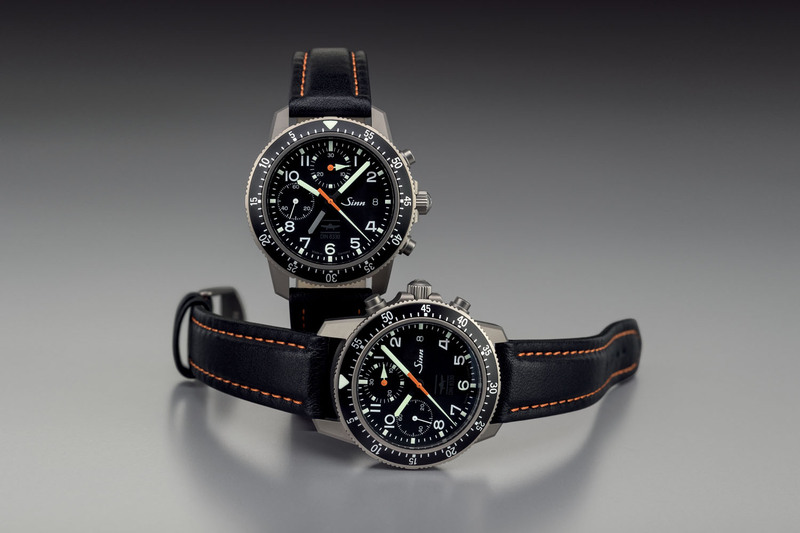 For more information go to Alpinawatches.com. 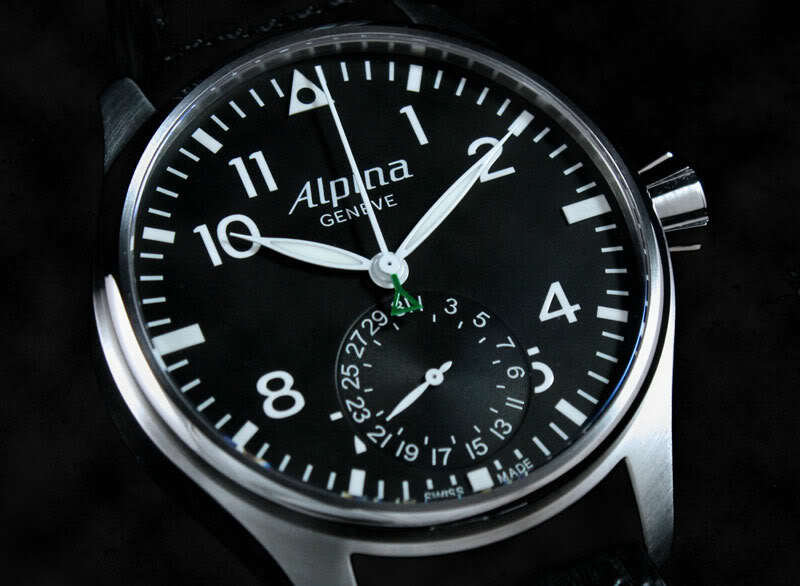 Surprised you didn’t mention Alpina modifies the Sellita movement in those to have a jumping hour hand. It only jumps forward, but still.